Sign-up using the form or call us at 504-361-3333 to make your appointment. Your chiropractor in New Orleans. Call us today at 504-361-3333! 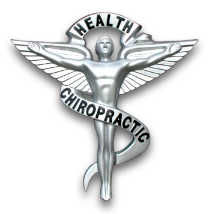 Dr. Marc Behar and Dr. John Hawn have over 50 years of combined professional experience and are rated among the top chiropractors in Greater New Orleans, specializing in chiropractic and wellness care. Since 1987, they have successfully been providing pain relief and correction for a large variety of symptoms and conditions so that you can have a better quality of life. Don't just take our word for it though; visit our testimonials page to see what our patients have to say. At our Algiers/Westbank Chiropractic office you will receive the best care through the use of traditional chiropractic techniques and modern technology including Spinal Decompression and ColdLaser therapies for herniated discs, pinched nerves/sciatica. Our dedicated Doctor's and the staff at American Chiropractic Clinic have a genuine concern for your well-being and good health! Call us today and we can develop a personalized chiropractic plan specific for you. If you are new to our website, please browse around to learn about our practice and to discover the benefits of chiropractic and wellness. Click on the "email us" link below to ask us a question or to send us feedback. We also welcome referrals, so we invite you to share our chiropractic and wellness information with your friends and loved ones.